'Organized Retail Crime', or ORC, makes many retailers nervous. Unlike traditional shoplifting, ORC is earmarked by being organized and widespread. What equipment can be used to combat this problem? In this note, we examine how security systems and equipment are deployed to mitigate the risk. The question for many in security: "What tools can be applied to mitigate ORC risk?" In the section that follows, we list some of the common solutions many retailers employ to combat the ORC threat. 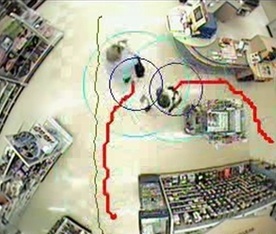 Booster bag detection: One of the most common 'exploitation' methods of ORC theft is the use of 'booster bags' - shopping bags lined with foil - intended to interfere with the detection abilities of EAS systems. Several new sensors types are designed to specifically detect the presence of 'booster bags' when they enter or leave a retail location. While possessing a 'booster bag' may not be criminal, certainly the detecting the presence of such an item is a powerful deterrent to prospective loss. 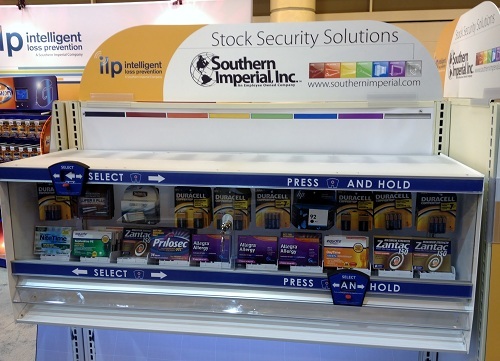 Vendors like Alert MetalGuard sell 'add on' booster bag detection pedestals, used in conjunction with existing EAS systems, to alert on the presence of these items in a retail store. 'Benefit Denial' EAS: The general concept behind 'benefit denial' tags are that if an item is stolen and the tag not properly removed, the tag itself destructs, impacting the appearance or utility of the product. The most common example of this countermeasure are 'dye packs' or 'ink tags' that rupture and indelibly stain stolen product. The brutal reality behind this protection is when product is damaged, it cannot be resold or exchanged as new. Use of 'benefit denial' EAS do not come without risk of accidental discharge, and tag cost is several times more expensive that 'standard' EAS tags. However, the method is very effective at protecting 'softlines' merchandise and other products sold without substantial packaging that might inhibit the effectiveness of the tag. 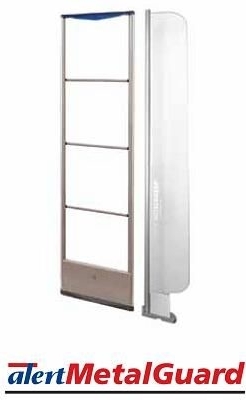 Secured Product Dispensers: An effective, but restrictive method of protecting product from theft is to keep it locked in protective showcases. 'Dispensing systems' are used to select stock items one at a time, and are often automated and networked to some degree to log stored product inventory. Small, highly valuable products like pharmaceuticals, electronics, and cosmetics are best suited to this type of protection - while product is indeed kept secure, it also takes more time and requires deliberation on part of the honest shopper. 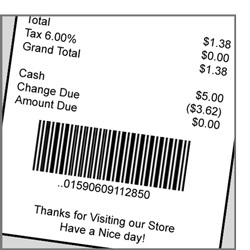 As a result, the use of this countermeasure should be carefully weigh the savings in reducing product loss against the overall loss in gross sales due to inconvenience. Data Analyics: Not to be confused with video analytics, data analytic services featuring 'Receipt Verification/Return Authorization' modules can be used to prevent from converting stolen goods back into cash. Everytime a transaction is generated, it is uniquely identified and stored. Commonly, this record is identified via a barcode on the bottom of a reciept. That data record not only can be used to track the goods sold, it can also be used to verify purchase of an item being returned. When those journal entries are combined into a single dataset, it can be used to verify personal purchasing records of an item, or how many of a certain item was sold by a retailer. In the case of 'exchange fraud', thieves often return stolen merchandise for a cash exchange. Using data analytics can help pinpoint the exact source of when an item was purchased, and therefore validate a cash return. Vendors like Siras and The Retail Equation are specialty vendors of these analytics. 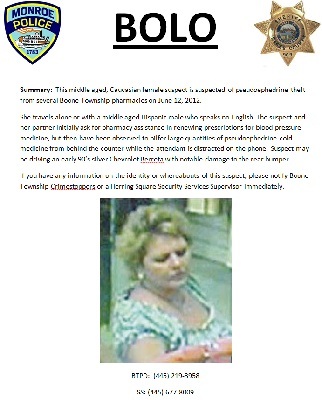 Surveillance Video: The power of video surveillance cannot be overlooked as a fundamental countermeasure to ORC. While the pitfals of poor quality and poorly executed video surveillance in retail are commonplace, effective use of HD resolution images cannot be overstanded. Quality images and videoclips can easily and effectively shared in 'BOLO', or 'Be On the LookOut' reports shared with local security and retailers. Simply being able to recognize suspects and apply human LP resources to ORC threats are a hugely significant, if not the most significant, protection against the threat. Products like 3VR's CrimeDex and LERPnet can also be used in conjunction with local video surveillance to verify and validate ORC threats. Video Analytics: When dealing with the ORC problem, video analytics used alone have limited value. Because the ORC problem is not simply observable behavior, but because it is a 'nested' type of theft or fraud perpetuated on many levels, video analytics alone are not an effective defense. For example, many video analytics providers cite the use of 'dwell time' as an important indicator of ORC risk, because it can preclude theft planning. In reality, this type of analytic would produce so many false positive alerts on 'casual shoppers' for a typical retailer, it would quickly be discarded as ineffective. In addition, many video analytics providers claim impossible results of face recognition, but these claims are proven time after time to be overstated used in real-world production surveillance systems. Rather, the application of video analytics to combat ORC is, at best, used in conjuction with the methods mentioned above.